November 2016 News: Thanksgiving at Shear Madness! Gobble Gobble! Special November Sales! For Thanksgiving, we've got some exciting sales sure to help get you in the holiday spirit! At participating locations, did you know that during the month of November, if you spend $50 in retail - you'll receive 40% off a Toys for Tots donation? And don't forget that our Diva Day Makeover Package (which includes a Diva Day, Bowdacious jewelry item of your choice, and Photo Certificate) is now $29.95! Also, right now we have a pretty awesome 10% off select plush. Wow! And then with a gift certificate purchase of $35 or more, Shear Madness will donate a Toy to Toys for Tots! We're Thankful for YOU! Don't forget that your local Shear Madness Haircuts for Kids will be closed on Thanksgiving Day (Thursday, Nov. 24). But we'll be back on Friday and ready for all your great haircutting needs - along with cool educational toys, jewelry, hair care products, madtastic accessories, parties, gift certificates (which make a great present for Christmas), ear piercing and much, much more! 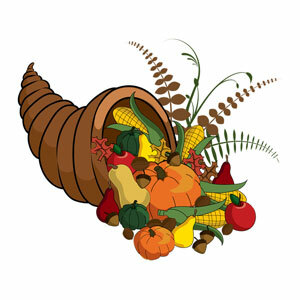 From all of your friends at Shear Madness Haircuts for Kids, we wish you a Happy Thanksgiving! Shear Madness Black Friday Sales! This is one of the most exciting days of the year when it comes to finding a great deal - which is why you definitely won't want to miss out on some truly Madtastic specials at Shear Madness Haircuts for Kids (at participating locations)! Be sure to keep an eye on that e-mail inbox as we'll be sending you the details SOON on these special sales. Then, you'll want to be sure to come by on Black Friday to experience this amazing sale - no camping necessary! Click here for locations and contact info. Shear Madness Adding New Stores! Shear Madness is Growing! Shear Madness Franchising announced recently the opening of additional locations in the Houston Texas and Orange County California markets. Jacqueline Perkins of Humble Texas and Dr. Andrew Elmasri of California Children’s Salons LLC will become Franchisees in those markets with locations opening this fall. Read more about this exciting development right here! Also, if you would like to learn more about the possibility of opening your own awesome Shear Madness Haircuts for Kids location, please check out Franchise Opportunities! And if you're interested in our other free resources for businesses, or would like to learn more about how to become a successful owner of your own kids hair salon franchise business, check out our blog or call 1-888-98 GONE MAD! Your Destination for FUN! We've been busy sharing funny posts, cool photos, great customer feedback and the latest in cool crafts and other fun stuff (for both kids and parents)! Check it out at our rapidly growing Facebook page, as well as our favorite Shear Madness pins this month on Pinterest! Also don't miss the excitement on Instagram, Google+ & Twitter! Meanwhile, if you're looking for informative articles on franchising and how to achieve business success, don't miss our Franchise Blog! A Special November Coupon! Thanksgiving is a time for giving thanks, and you might find one more reason to be thankful with our great coupon for November! Head over to our coupon page for an AWESOME special on ear piercing. What is it you ask? How about if you get your ears pierced at Shear Madness, you'll get $5 off an additional pair of Tiny Tips or Sensitive Earrings (at participating locations). Wow! Get Crafty this Thanksgiving! Check out our crazy cool Thanksgiving Crafts for Kids section on Pinterest, and spend an hour or two with the kids making decorations for Thanksgiving! Learn how to how make a Thankful Turkey Book (as pictured at left), a cheery Thanksgiving door, a bunch of Thanksgiving color sheets, the "Roll a Turkey Children's Game", Thanksgiving snack bags, melted crayon pumpkins and funny paper bag turkey puppets!